Here are some ideas for the base of your house. 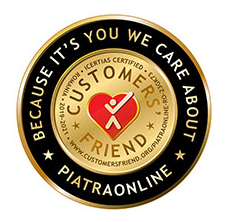 Get inspired by PIATRAONLINE.com customers and choose the tile best suited to your decoration project. Slate is a very durable and elegant material with multicolour version that brings charming hues of ochre, rusty-brown or grey into every tile. The image below presents tiles with 15x30 cm size and chiseled edges, for a rustic look. 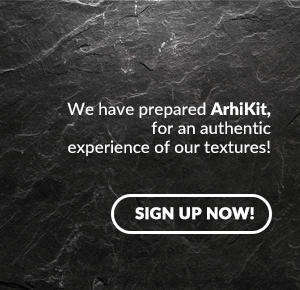 Accessories recommended for this slate are: LTP Mattstone for sealing and Weber Marmo.Plus for installation. 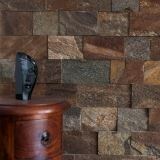 Above image features Sparta Limestone Wall Cladding Panel, 15x60 cm size. The benefit of this material is easier installation. For this tile we recommend Weber Marmo.Plus, adhesive for installation and LTP Mattstone, professional sealer. Also, Rusty Brown Riven Slate (10 cm x Free Length) is a very interesting option for cladding the base of your house. 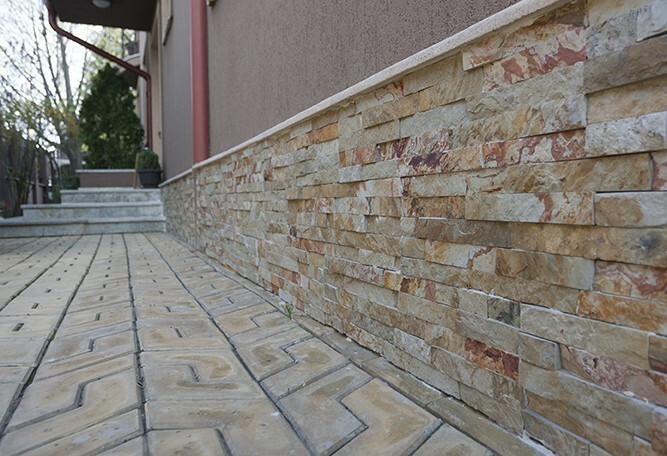 This material is similar with slate, has different color variation on every tile and is frequently used for exterior projects. Even with splitface finish, Sunny Dream marble preserves a particular elegance: dark brown areas on light cream background for conveying a special charm to your decoration project. 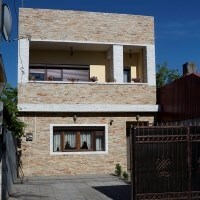 The image presents base of house cladded with Sunny Dream Spitface Marble 7x30 cm. Benefit of this marble is waterproofing, thus increasing durability when sealed with LTP Mattstone, professional sealer. 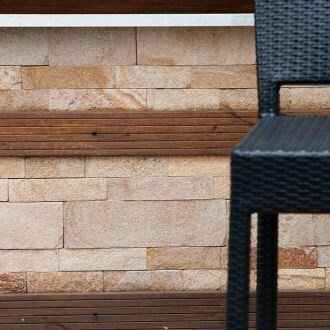 Noce travertine conveys an elegant touch with its particular accents. Noce Splitface Travertine 5 cm x Free Length x 2.2 cm is complementing beautifully with a tile from the same material, with polished finish. 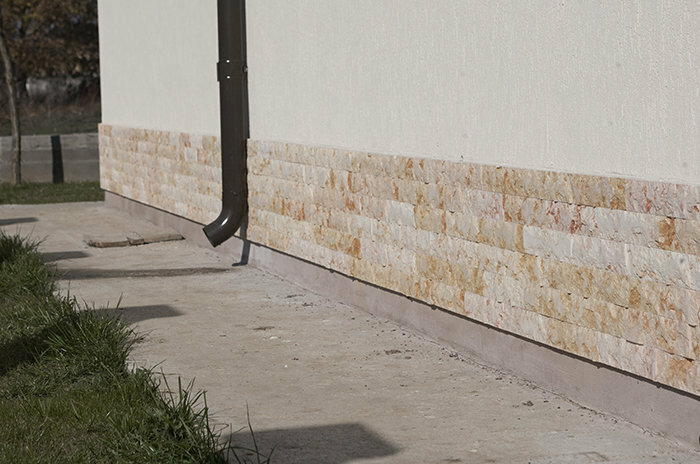 Travertine is one of most popular natural stones, durable in wet spaces, although we recommend sealing it with professional products. 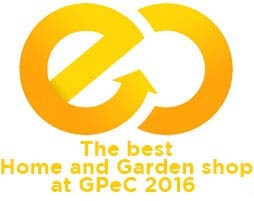 For further details on choosing the stone best suited to your project, give us a call at + 40318.222.333 or better visit our showroom to see the concept spaces!